The six nominees for Boys Swimmer of the Year and Girls Swimmer of the Year combined for 17 state berths, but only two will be able to claim the Valley’s top swimming honors. The winners will be announced at the 2018 All-Valley Sports Awards Banquet on June 19 at Mario’s Banquet & Conference Center in Mission. Sean Elliott, a former NBA champion with the San Antonio Spurs who now works with the team as a broadcaster, will be the keynote speaker at the event. >> Shaine Casas, McAllen High: Casas completed his senior season with more hardware and a Division I commitment to swim at Texas A&M in the fall. 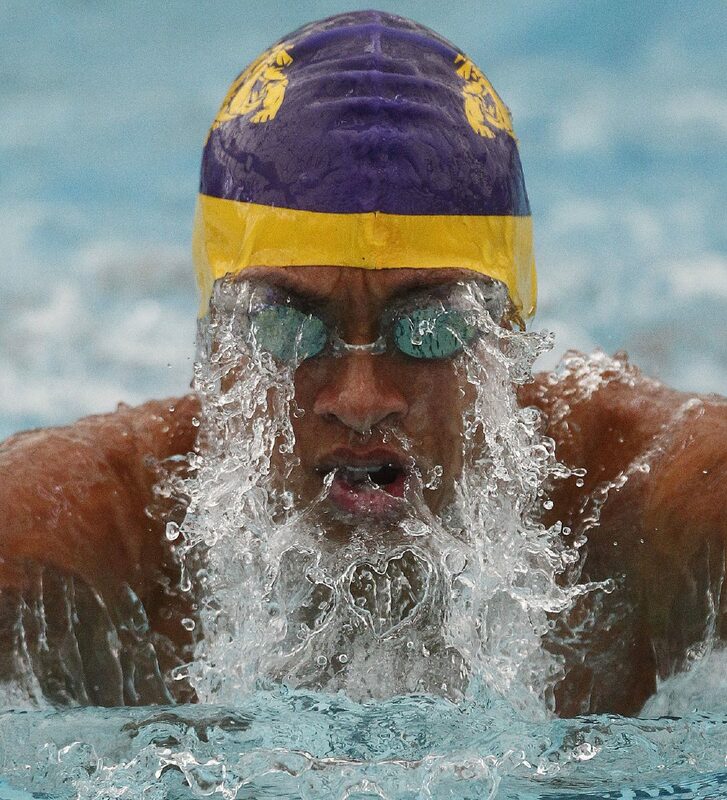 He repeated as a double individual champion at the district and regional swim meets. At his third state meet, he earned a bronze medal in the 100-yard butterfly with a 47.59, a silver medal in the 100 backstroke with a 47.12 and led his team to a sixth-place finish in the 200 medley relay. >> Luciano Farias-Ramirez, Sharyland High: The Sharyland senior left his mark on the Rattlers program and Valley swimming. He made his third trip to state his best, earning a bronze medal in the 100 butterfly with a swim of 50.34. Farias-Ramirez also took seventh place in the 100 backstroke at state with a 51.36. >> Adrian Fierro, Brownsville Veterans Memorial: Fierro helped his team win the District 32-5A meet by winning the 50 and 100 freestyle races. He was also a part of two winning relay squads. He set a Brownsville ISD record with his time of 21.58 seconds in the 50. Then, he set a personal-best and BISD-record time at the regional meet by winning the 100 freestyle in 46.88 seconds. He finished second in the 50 freestyle and qualified for state in both events. 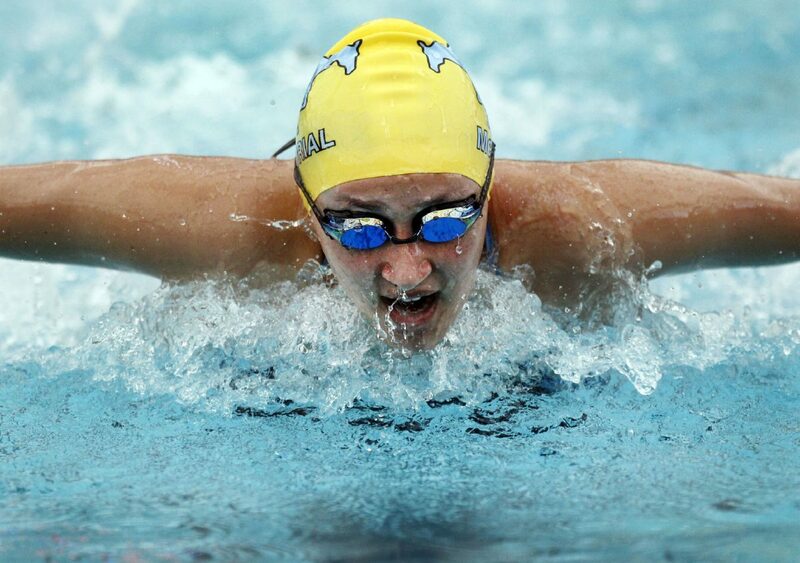 >> Stacia Benitez, McAllen Memorial: Benitez remained one of the best swimmers on a strong McAllen Memorial team. As a junior, she earned double individual gold at regionals in the butterfly (1:01.44) and backstroke (59.90). She was also on two regional championship, state-qualifying relays — the 200 medley and 400 freestyle. >> Avia Guerra, McAllen Memorial: Guerra had a strong senior year in the pool again for the district and regional champion Mustangs. She was a double gold medalist at both the district and regional meets in the 100 and 200 freestyle races. She also competed as part of the Mustangs’ state-qualifying 200 medley relay and 400 freestyle relay. >> Sarah Villarreal, Los Fresnos: She helped her team win the District 32-6A meet by winning the 200 individual medley and 500 freestyle. She won both events again at the Region VIII-6A meet to qualify for state in each race. The banquet, hosted by RGVSports.com and AIM Media Texas in conjunction with the RGV Sports Hall of Fame, will see 33 awards presented to athletes, coaches and teams across all 12 UIL sports. The prestigious Tom Landry Award of Excellence will honor a student-athlete for outstanding achievements on and off the field. The Monitor, Valley Morning Star, The Brownsville Herald, Mid-Valley Town Crier and RGV Sports Hall of Fame will vote to determine the winners in the sports categories. While The Monitor, the Star and the Herald have previously named their All-Area teams in certain sports, the All-Valley Sports Awards Banquet will recognize the very best across all three coverage areas. The banquet, which will run approximately 6 to 8 p.m., returns to Mario’s for a second consecutive year. The venue has a seating capacity of more than 500 people. Tickets will be on sale soon at a cost of $40 per person. For sponsorship opportunities, call Marcia Kitten at 956-683-4463 or email mkitten@aimmediatx.com.